Bigfoot, also known as Sasquatch, is an alleged humanoid creature said to inhabit remote forests in the United States and Canada. It is considered to be a cryptozoological creature and is often described as being a large, bipedal animal. It is said that it's relatives can be found around the world with such names as the Yeti, the Yeren, the Almas, the Yowie and many more. 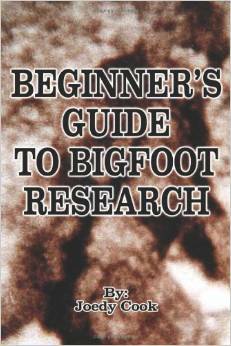 Bigfoot is one of the most famous examples of cryptozoology, but is not well supported in the scientific community. The history of Bigfoot can be dated back hundreds of years to the Native American culture, but really came to light in 1958 when large footprints were found at a job site of Ray Wallace's construction company. This was the first time the term "Bigfoot" was used. 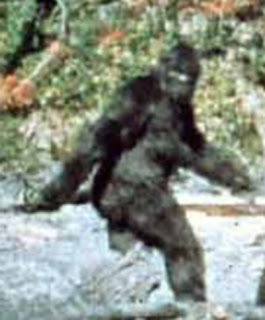 Bigfoot has been sighted throughout North America, but about a third of all sightings occur in the Pacific Northwest in the states of Washington, Oregon, Northern California, and British Columbia, Canada. Bigfoot is described as being a large humanoid creature. It is reported to appear very human-like and walking on two legs. It is said to be similar to human and great ape. Its height ranges from 6-10 feet tall and weighs in excess of 500 pounds. It is typically covered in dark brown or dark reddish hair. Bigfoot has been described to have omnivorous eating habits. It is thought that the creature's diet consists mainly of plant materials with some meats. Common foods consist of nuts, fruits, berries, and various animals. Bigfoot is also thought to be a nocturnal animal. Many sightings of Bigfoot are thought to be the misidentification of a known animal. The most common misidentification is thought to be of a bear standing on its hind legs. Most sightings of this creature do occur where bears inhabit. Hoaxes are also often blamed for Bigfoot sightings. Experts say that 70 to 80 percent of Bigfoot sightings are not real and that most are either a hoax or a misidentified animal. It is also thought that many of the footprints found are hoaxes as well. Many believe that if Bigfoot is real it could be a Gigantopithecus, which is an extinct species of ape. It is believed that the Gigantopithecus could have entered into what is the now the United States over the Bering Straight land bridge. This is in the northwestern portion of North America where Bigfoot is most commonly spotted. There is evidence to support the existence of Bigfoot, but scientists argue that all existing evidence is only circumstantial.